Hassle-Free PricePosted prices, no negotiation needed. Best Price GuaranteeNever worry you paid too much! Exchange Guaranteeon all pre-owned vehicle! No buyers remorse, up to 72 hours. Concierge ServiceYour personal Honda ambassador to assist you with your new vehicle. Trade-In GuaranteeWe buy your trade even if you don’t buy from us. 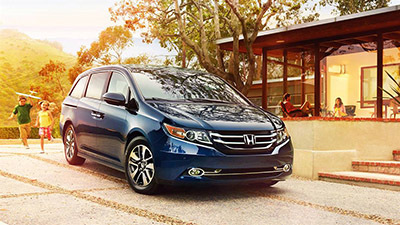 It really isn’t fair for Goshen and Monroe drivers to compare the 2016 Honda Odyssey to the 2016 Dodge Grand Caravan — the former simply offers so much more. 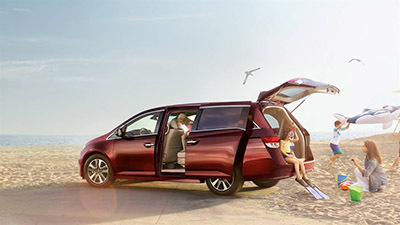 Whether you need plenty of cargo space, the latest features, or the peace of mind that comes with top safety scores, the Odyssey is the right minivan for your family. LX: The entry-level model provides a rearview camera, Bluetooth HandsFreeLink system, and one-motion 60/40-split third-Row Magic Seat, all standard. EX: The EX adds tri-zone automatic climate control for comfort, a Smart Entry system for added convenience, and a Honda LaneWatch feature for additional safety. SE: The SE is new for 2016, giving you the opportunity to snag a HondaVAC built-in vacuum and rear entertainment system without having to pay for a top-of-the-range model. EX-L: The EX-L is all about safety, with Forward Collision Warning, Lane Departure Warning, and an auto-dimming rearview mirror. Touring: The Touring offers a 10-way driver’s seat with power lumbar support and two-position memory settings, 18-inch alloy wheels, and a one-motion 60/40-split third-row Magic Seat. Touring Elite: The Touring Elite delivers state-of-the-art technology, including an Ultrawide rear entertainment system and s 12-speaker, 650-watt premium audio system. 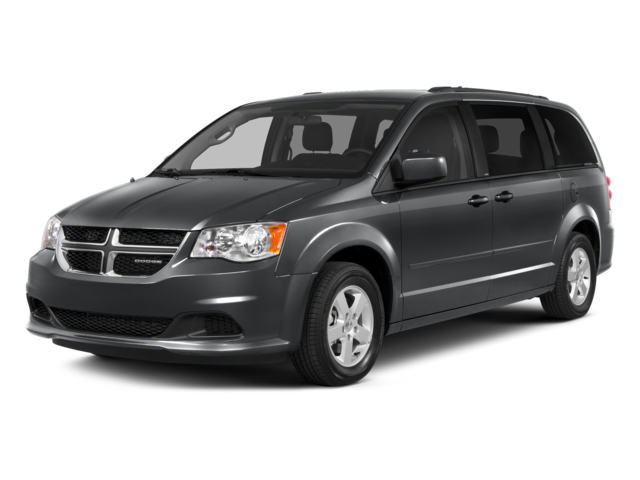 The 2016 Dodge Grand Caravan also comes in a selection of trim levels, although entry-level models are rather underequipped. The AVP offers 17-inch steel wheels, a four-speaker audio system, and heated mirrors, while the SE upgrades to a six-speaker audio system and adds rear privacy glass. You’ll have to wait for the R/T to receive a 6.5-inch touchscreen display and the meager nine-speaker audio system. 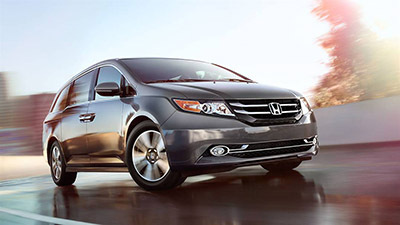 The 2016 Honda Odyssey achieves a welcome blend of power and efficiency from its combination of a 3.5L V6 engine and six-speed automatic transmission. Up to 248 hp and 250 lb-ft of torque mean that you’ll feel confident while cruising, and you’ll achieve an above-average 19 mpg in the city and 28 mpg on the highway. The 2016 Dodge Grand Caravan produces a little more power, with a 3.6L V6 capable of 283 hp and 260 lb-ft of torque. However, it’s a little unrefined, so you’ll only make up to 17 mpg in the city and 25 mpg on the highway. Nobody looks for a minivan without taking the interior dimensions into account. After all, plenty of room is exactly what makes these vehicles stand out, and all you have to do is compare the capacity of the 2016 Odyssey to that of the 2016 Grand Caravan to understand why the former is so much more popular. 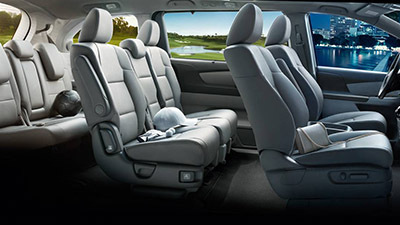 Standard Cargo Space: Up to 38.4 cubic feet in the Odyssey vs. just 33 in the Grand Caravan. Extended Cargo Space: Fold down the third-row Magic Seat and second row for up to 148.5 cubic feet behind the first row of the Odyssey. The Grand Caravan tops out at 143.8. While the 2016 Honda Odyssey innovates to bring you family-friendly features, the 2016 Dodge Grand Caravan fails to include even the expected standard features; only the Odyssey gives you a standard rearview camera, power driver’s seat, and automatic headlights. HondaVAC: This forward-thinking available built-in vacuum is a real favorite with Goshen and Monroe families. It’s tucked away in the back, but you can reach the entire cabin for a quick and easy clean. Ultrawide Rear Entertainment System: It’s no secret that kids don’t love being stuck in place for long journeys, but the stunning 16.1-inch display of the Odyssey plays from DVDs or game consoles to keep them happy. The Grand Caravan’s 9-inch screens can’t compete. 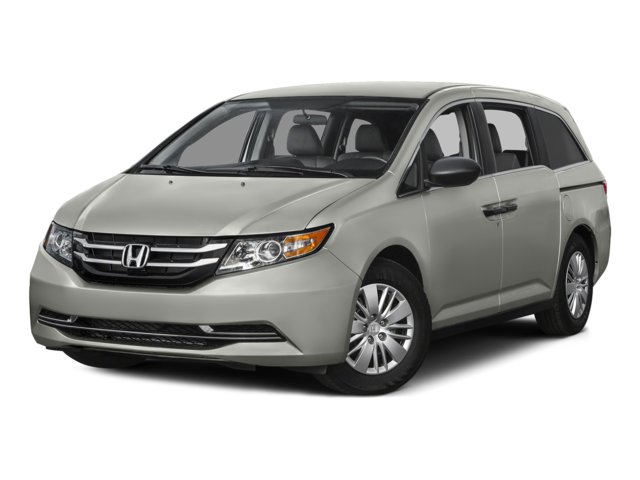 The engineers at Honda have worked hard to create an Odyssey that offers outstanding peace of mind, and their efforts have paid off. The 2016 model has been given a 5-star overall safety rating by the National Highway Traffic Safety Administration. **In contrast, the 2016 Dodge Grand Caravan was given only 4 stars by the NHTSA, and it missed out on any awards from the IIHS after scoring a rating of “Poor” in their small overlap front test. The Dodge also lacks some of the Odyssey’s high-end safety features, including Honda LaneWatch and Lane Departure Warning. 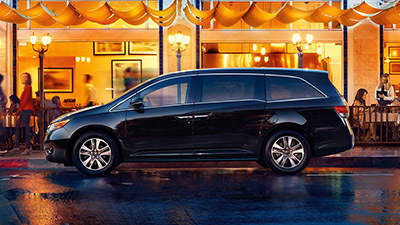 No matter what you need from a minivan, the 2016 Honda Odyssey is the one for you. This class-leading vehicle is now available from Middletown Honda, so don’t hesitate to make the trip from Goshen or Monroe for a test-drive today. * Based on 2016 EPA mileage ratings. Use for comparison purposes only. Your mileage will vary depending on how you drive and maintain your vehicle, driving conditions and other factors. ** Government 5-Star Safety Ratings are part of the U.S. Department of Transportation’s New Car Assessment Program (www.safecar.gov). Model tested with standard side airbags.